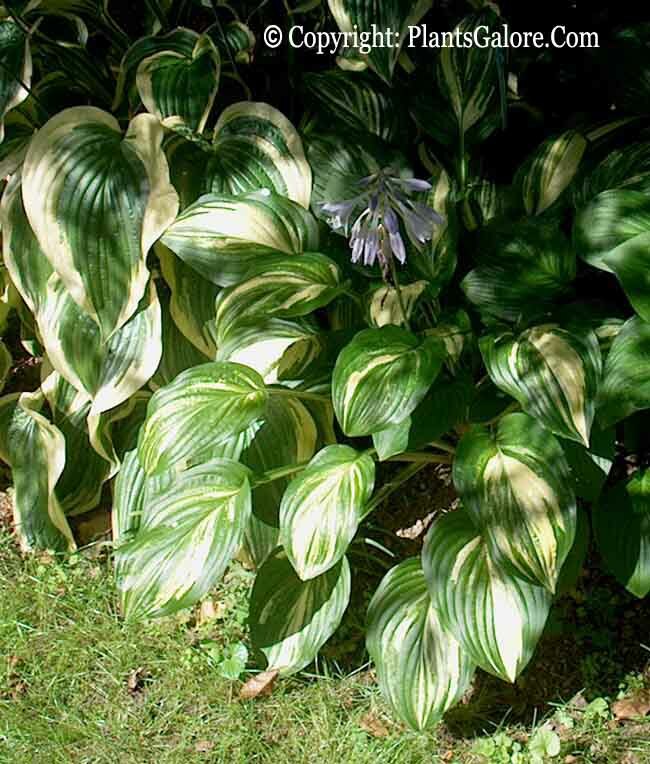 This cultivar has highly variable streaked foliage and forms a medium size (17 inches high) mound. Pale lavender flowers that are fragrant appear in August. It is another of the Iron Gate Series originated by Van Sellers from a cross of H. plantaginea x H. 'Tokudama Aureonebulosa'. The Hostapedia by Mark Zilis (2009), states "I once compared the leaves of seven 'Iron Gate Supreme' clumps growing in different gardens and came up with the expected result. Only two clumps had leaves that were consistently streaked. The leaves of three clumps had sported to the more stable, green-margined, white-centered form, one had white-margined, streaky-centered leaves, and one had all-green foliage." An article by Warren I. Pollock in The Hosta Journal (2002 Vol. 33 No. 2) states that, "For readers not familiar with 'Iron Gate Supreme', the leaves have an unstable variegation. The base leaf color is green. 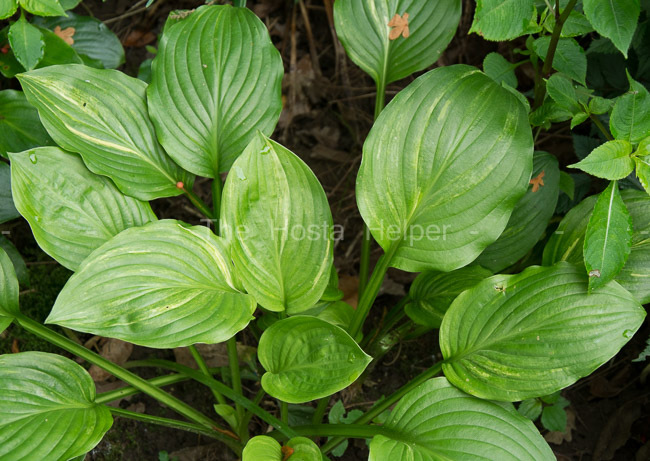 Some leaves have white centers, others white margins, and still others are variably streaked and centered."